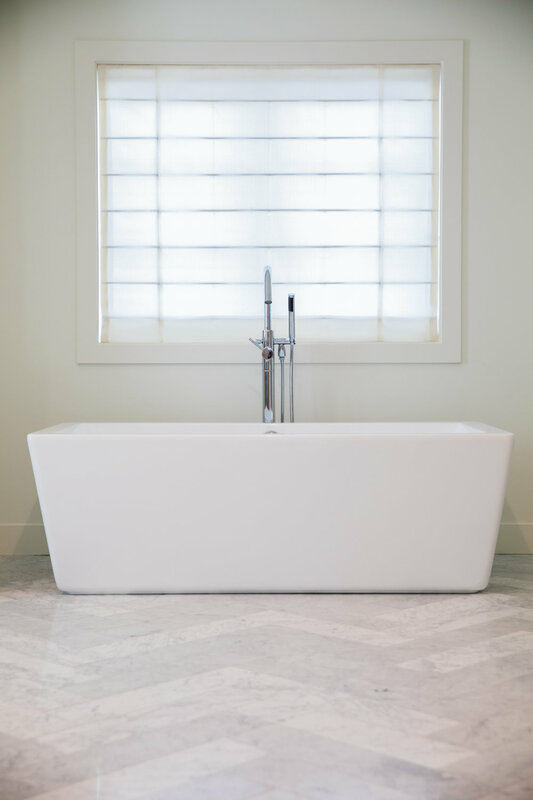 A beautiful example of Crema Cais Cais Limestone, this bathroom is designed for the bather who looks at their bath more as a retreat rather than a place to get ready. 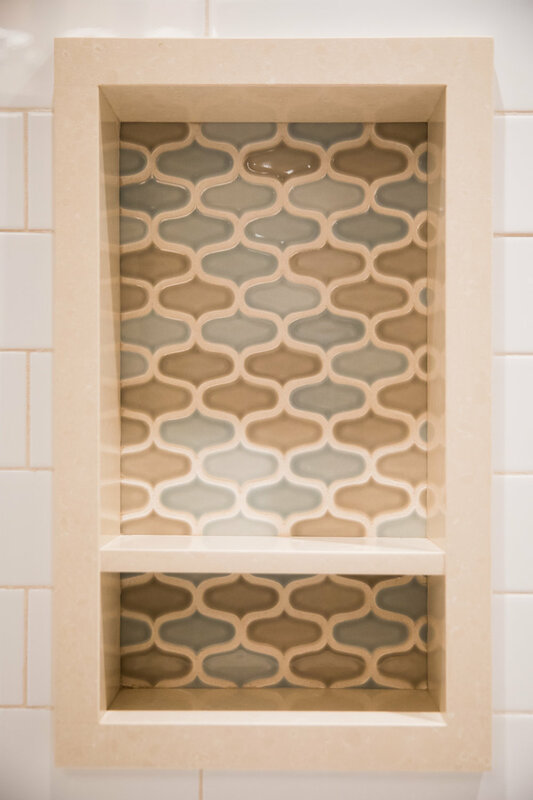 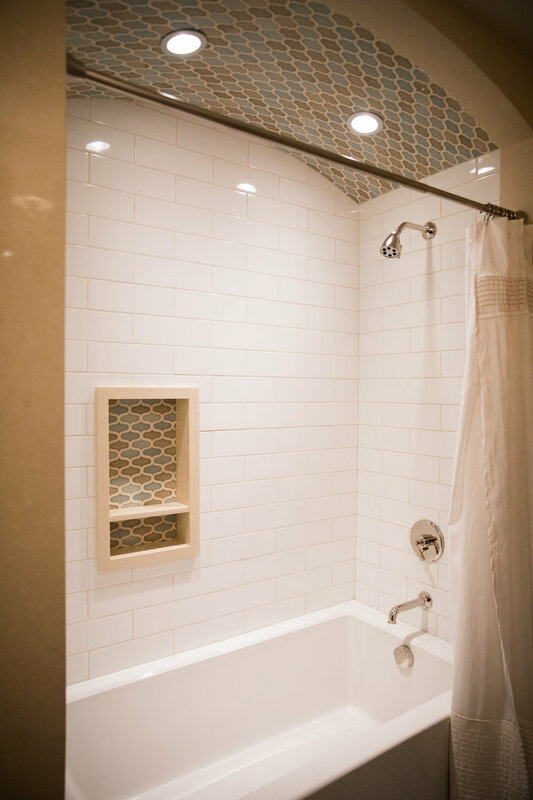 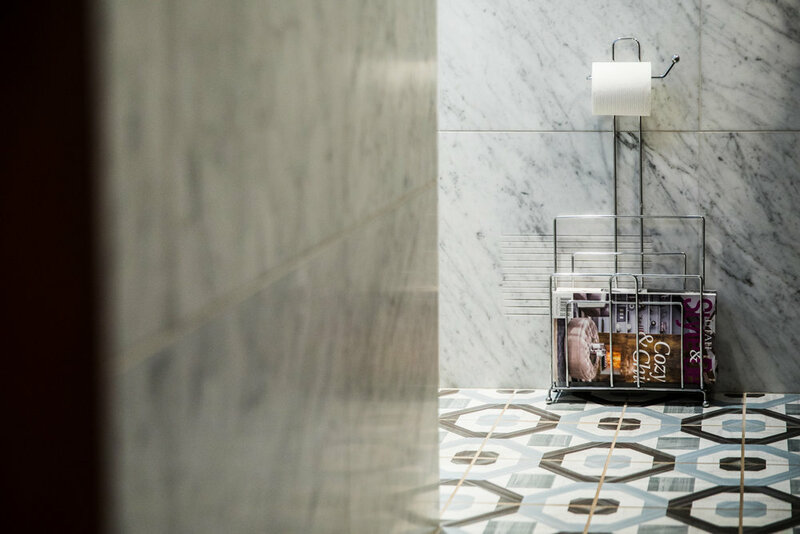 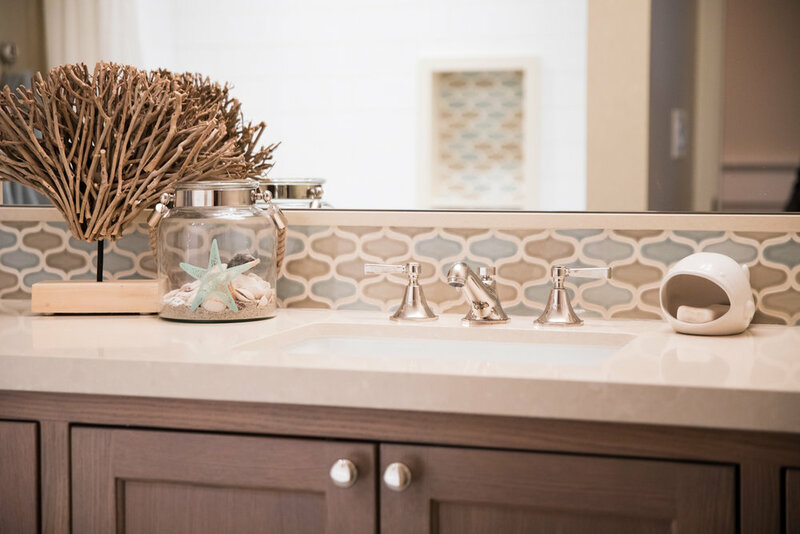 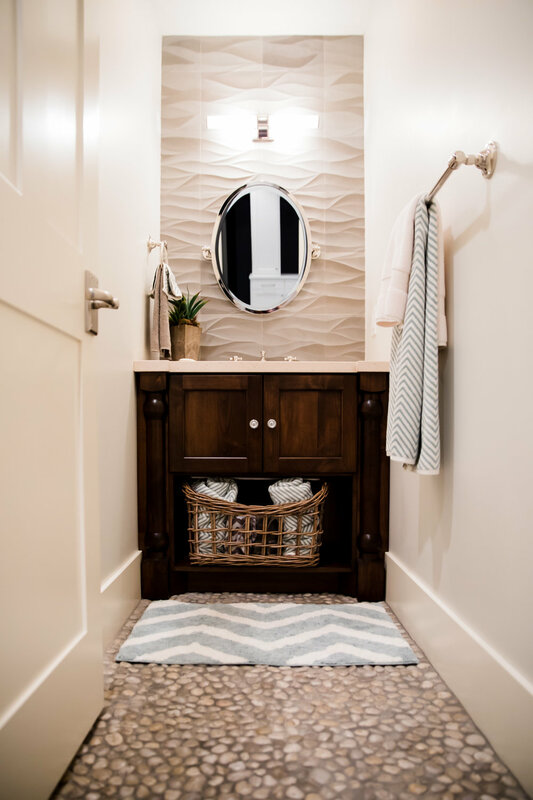 The creamy Limestone countertop and large hand carved Ambra tile wall at the vanity, along with the custom arabesque mosaic shower wall, create a spa-like feel. 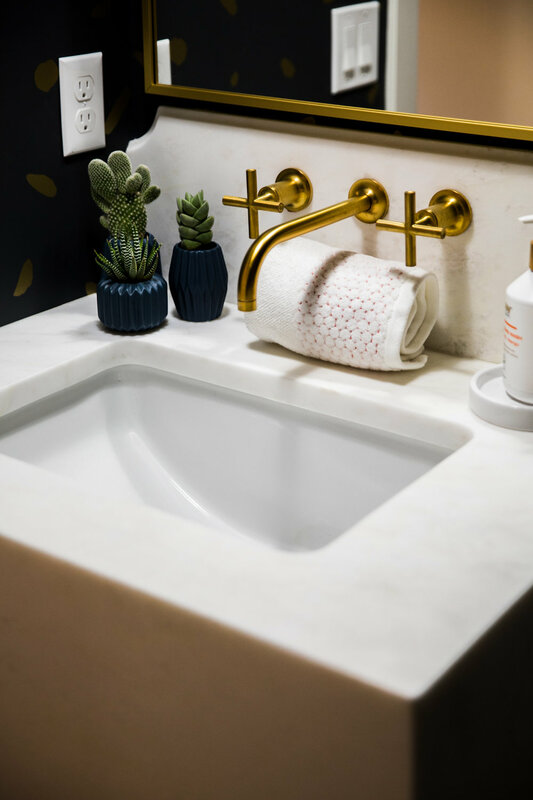 Italian Carrara Marble is timeless and forever. 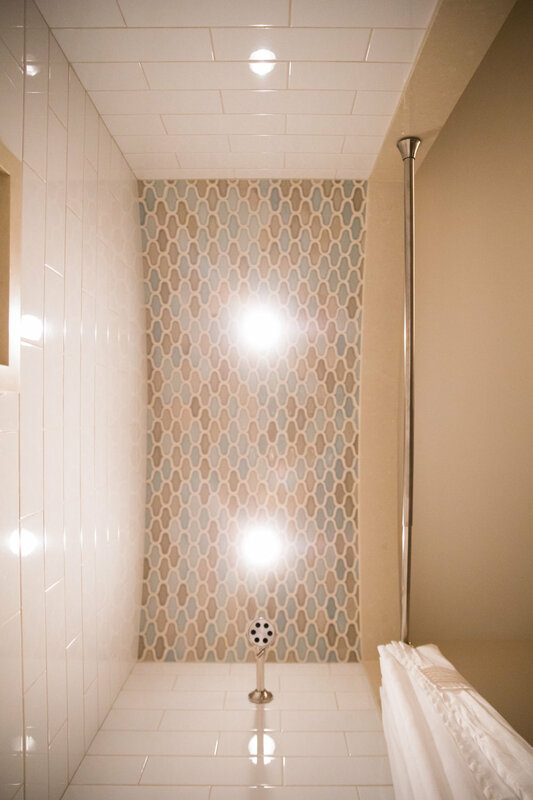 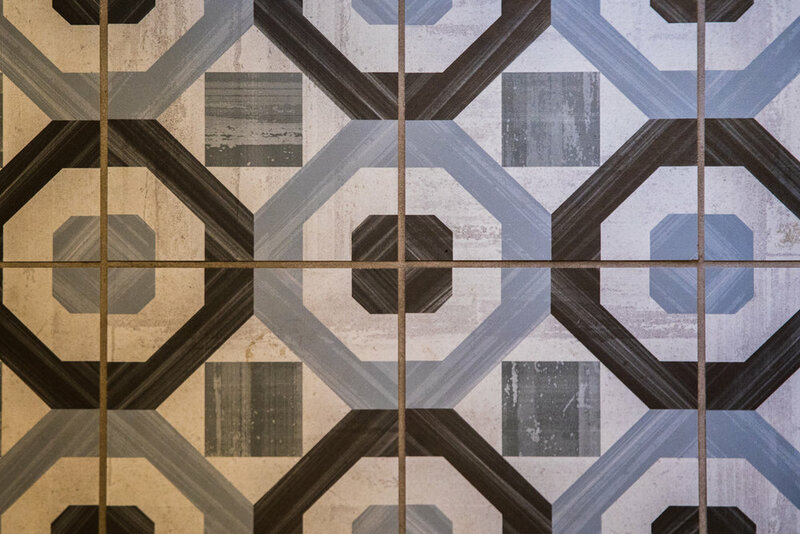 European Marble and Granite can customize any mosaic for discerning clients. 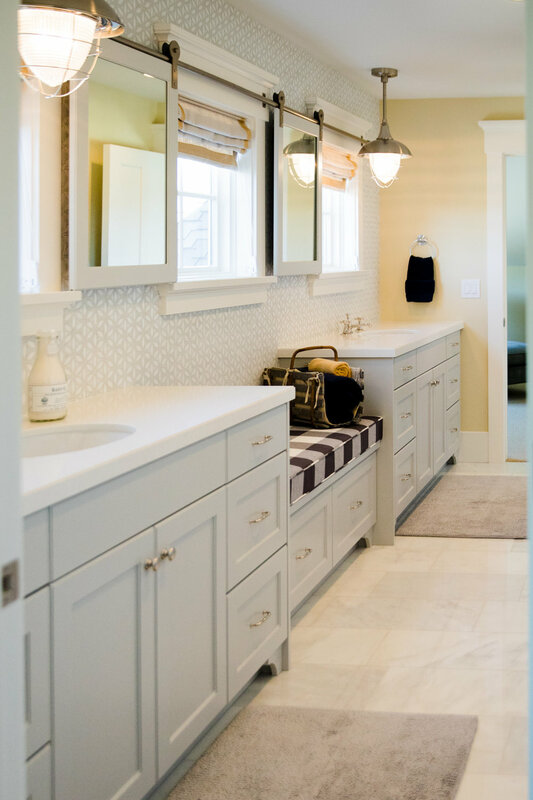 The vanity countertop installed with oversized marble aprons, adds drama and elegance to this smaller bathroom.